Ако участвате, а ви няма в списъка, запишете се. TechnoMagicLand е интерактивен технологичен център за деца и младежи, където ученици, преподаватели и родители опознават науката и технологиите отблизо. 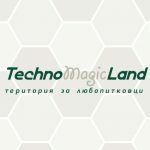 На територията на TechnoMagicLand се залага на двата най-модерни подхода в съвременното образование – учене чрез правене и учене чрез забавление. Близо 40 интерактивни и познавателни експеримента от областта на природните науки, математиката и информационните технологии разпалват искрата на интереса към технологиите и природните науки у децата. Athlon creates transformative customer experiences at the intersection of UX, Brand & Technology. Founded in ’06 and located in Sofia, London, New York & Toronto, the company has an expert, international team of technologists, designers and strategists. 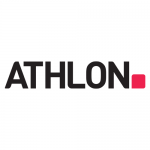 Athlon helps businesses accelerate transformation through web technology and expertise in delivering modular systems that integrate with existing processes and systems. 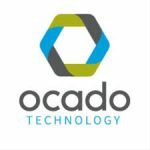 The company is a valuable partner and to the CIO, CTO and work with startups and enterprise clients across R&D projects and product development. Athlon are proud to be a service partner to Zebra Technologies Inc., Motorola Solutions Inc., Deutsche Bank, BP, Canon, HP, Xerox and VW. Software AG is a global software technology leader with more than 4,500 employees across the globe. With Software AG’s Digital Business Platform, companies can better interact with their customers and bring them on new ‘digital’ journeys. In the Internet of Things (IoT) market, Software AG enables enterprises to integrate, connect and manage IoT components as well as analyze data and predict future events based on Artificial Intelligence (AI). We love technology and we know what it takes to build a world class product: A GREAT TALENT like YOU. Whether you are interested in R&D, consulting, marketing, and IT services, we help you grow and develop your future. Preferrals is a smart tool for IT employment. Accedia is a Professional IT Services company, specializing in technology consulting, software development outsourcing, as well as development of end-to-end IT solutions for both SMEs and large enterprises. With offices in Sofia, Bulgaria, Boston, MA and Palo Alto, CA, Accedia is one of the fastest growing technology companies in Central and Eastern Europe. Do IT Wise is a global independent consulting and software development company, focused on supporting business to thrive on their digital transformation. Do IT Wise partners with one of the leading software vendors in the areas of Enterprise Service Management, Application Performance Management, Hybrid Cloud Management and Customer Service Management, such as ServiceNow, Micro Focus, Atlassian, Cherwell, New Relic, Dynatrace, AppDynamics. Do IT Wise Integration Hub product enables integrations between enterprise service management systems. Currently the company serves more than 50 companies on Fortune 500 list. Uber is committed to igniting opportunity by setting the world in motion. In addition to helping you get from point A to point B, we’re working to bring the future closer with self-driving technology and urban air transport, helping people order food quickly and affordably, removing barriers to healthcare, creating new freight-booking solutions, and helping companies provide a seamless employee travel experience. BlockEx is a digital asset exchange and technology provider for institutional-grade financial market participants, allowing them to increase opportunity, efficiency and transparency. The company, a London-based fintech success, delivers an exchange brokerage network which incorporates blockchain asset origination, dematerialisation and lifecycle management. coBuilder is a company with a clear mission – to digitise the construction industry.We have started our work by defining the construction product as the essential building block of all digitalization initiatives in the industry. For over 20 years we at coBuilder have worked hard to employ technology and knowledge in our efforts to provide the means of creating a digital passport for each construction product. Founded in 2004, the cleversoft group is a leading provider of front and back office solutions for the financial services sector. EPAM is a leading software engineering company with over 25 years of experience and more than 22 000 software engineers around the world.